Vanbiesbrouck has served as the general manager of the Muskegon Lumberjacks since 2013. 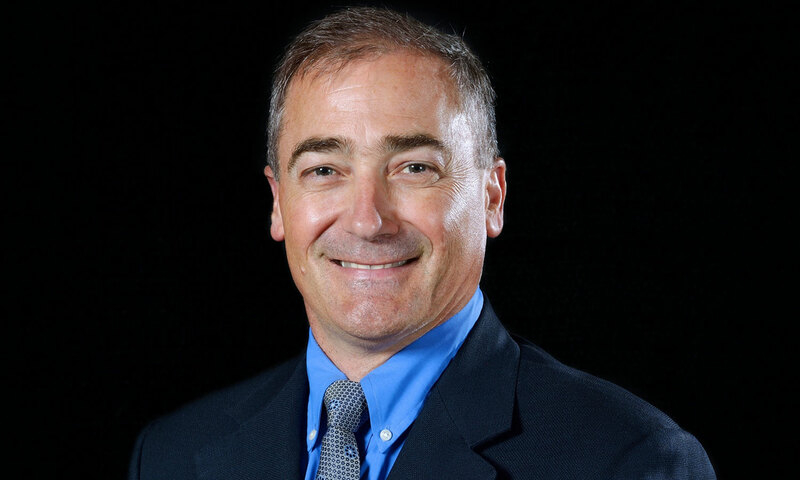 Muskegon Lumberjacks general manager John Vanbiesbrouck has been hired as the Assistant Executive Director of Hockey Operations​ for USA Hockey. The position is among the top roles in USA Hockey, and Vanbiesbrouck will have a critical role in selecting the players who will represent the United States in international competition. Vanbiesbrouck was the Lumberjacks’ general manager for five seasons, a span that featured the club's deepest playoff run that culimnated in a trip to the 2015 Clark Cup Final. In 2016-17, Muskegon broke team records for wins and points, and in 2018, the Jacks earned back-to-back playoff berths for the first time in team history. Vanbiesbrouck was integral in bringing superstar forward Andrei Svechnikov to Muskegon, tendering the Russian sensation for the 2016-17 campaign. That season, Svechnikov scored 29 goals and 58 points, and was named USHL Rookie of the Year. Vanbiesbrouck brought two USHL Rookies of the Year to Muskegon (Svechnikov, 2017; Matej Pekar, 2018) as well as a pair of USHL Players of the Year in Rem Pitlick (2016) and Anthony Del Gaizo (2018). A 20-year veteran in the NHL, Vanbiesbrouck, a goalie, helped Eric Schierhorn win the 2015 USHL Goaltender of the Year honors. Also under the tutelage of Vanbiesbrouck, Keith Petruzzelli earned USA Hockey’s Goaltender of the Year award in 2017. In the four NHL drafts that have taken place during Vanbiesbrouck’s tenure, 13 former Lumberjacks have been selected. NHL Central Scouting has seven former Lumberjacks listed as draft prospects for the 2018 draft, led by Svechnikov, who is ranked as the top North American skater. A 1986 Vezina Trophy winner with the New York Rangers as the NHL’s best goaltender, Vanbiesbrouck was the #1 overall pick in the 1993 NHL expansion draft. After being selected in that draft by the Florida Panthers, Vanbiesbrouck led them to a Stanley Cup Final in just their third season as an NHL franchise. As Vanbiesbrouck steps into one of the biggest roles in USA Hockey, he will have a wide variety of responsibilities, including the selection of teams that represent the United States in international tournaments such as the Olympics. Headquartered in Chicago, Illinois, the USHL celebrated its 16th season as the nation's only Tier I junior hockey league in 2017-18. 30 or more players from the USHL have been selected in five consecutive NHL Drafts, and more than 400 players on team rosters last season committed to NCAA Division I schools, further establishing the USHL as the world’s foremost producer of junior hockey talent.